The Church’s international charity organization has adopted a third patron, Salvadoran priest Oscar Romero, who will be beatified this Saturday. Caritas Internationalis’ General Assembly closed today with member organisations adopting a vision of “One Human Family, Caring for Creation”. 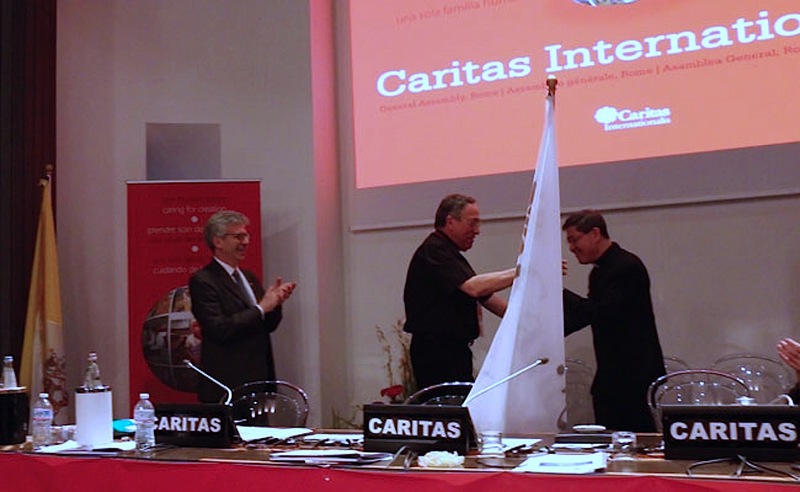 The 400-plus representatives from more than 160 national Caritas organizations gathered in Rome also elected a new president and treasurer and ratified the nomination of the secretary general this week. Regarding the SDGs, the final message adopted by the General Assembly states that “no target should be considered as met unless achieved for all income and social groups; this fundamental, person-centred strategy must be central”. The message urges governments to look beyond their own borders and to recognise the moral imperative that is inherent in care for creation. Michel Roy was reconfirmed as secretary general of the Caritas confederation and a new board was appointed. Alexander Bodmann of Austria was elected as new treasurer. South Sudan became the 165th national member organisation of the Caritas confederation. Blessed Oscar Romero, who was murdered for standing with the poor in El Salvador, joins Mother Teresa and St. Martin de Porres as patrons of Caritas Internationalis.